The layout of the template is distinguished by an additional left column, which includes product categories that direct to specific product groups. 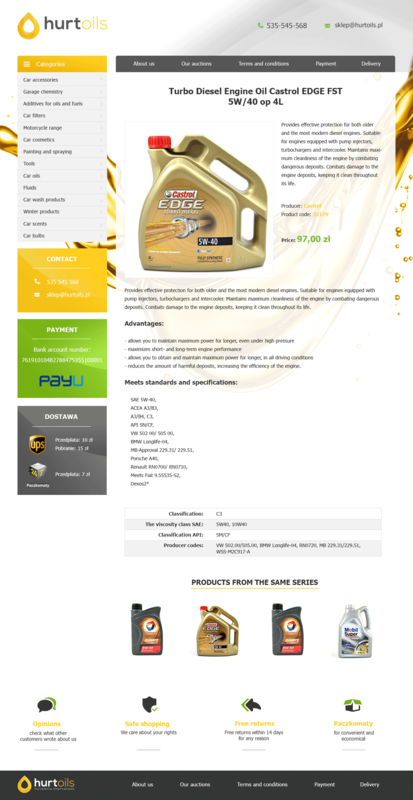 This is the best solution for sellers with a wide range and a large number of categories. Under the menu there is information in boxes about contact, payment, delivery and personal collection. What standard template do you want to base your graphic design on? Where should links "About us", "Comments", "Other auctions", "Regulations" (please send us specific links) direct to? 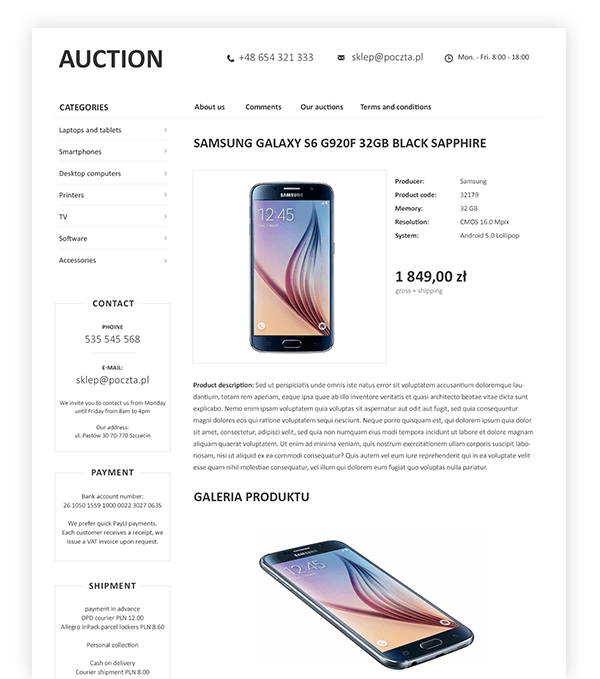 What information about payment, delivery and personal collection do you want to put in the auction template? What benefits do you want to present using icons? What information about returns, complaints and the company you would like to include? Do you want to present links to other auctions? Have a look at sample auction templates we have prepared for our clients. 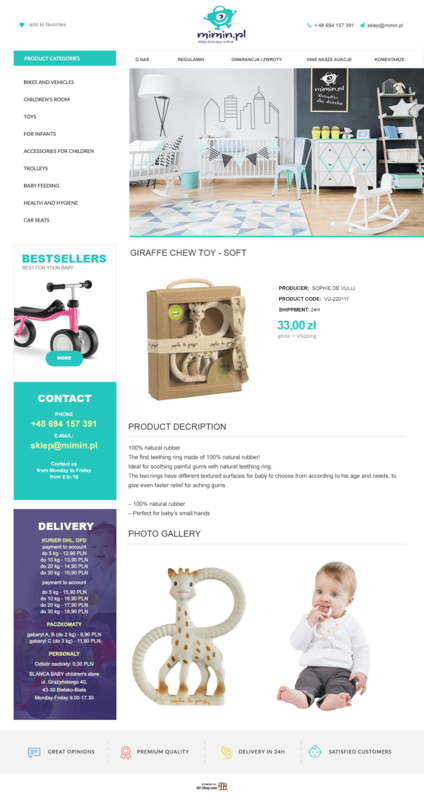 We also encourage you to create individual auction templates, so that they are consistent with the image of your store. Contact your template supervisor in the graphics department and he will suggest a suitable solution.